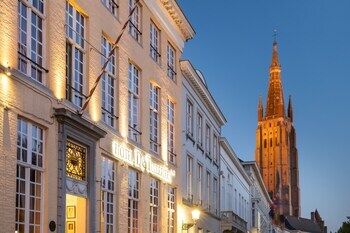 Bruges is packed with things to see and do. The most difficult part of organising your getaway will be deciding which one to head to first! 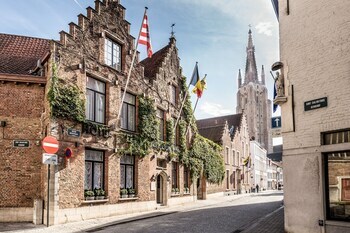 When you're ready to leave behind the nine-to-five and soak up Bruges' charms, ebookers will be here to show you the best deals on everything you need for an unforgettable holiday. If you lock in your airfares and hotels at the same time, you'll make savings of up to 16%*. Create your dream escape as you choose from our many airline partners and over 500,000 properties globally. If you're worried about finding the cheapest price, you can relax. The ebookers Price Guarantee means that if you book a Flight + Hotel package and then spot a better deal elsewhere within 48 hours pre check in, we'll meet it and transfer back the difference. The time is right now! Chase your wanderlust and don't let go. Every place is bursting with unbelievable surprises and new things to discover, so let us help you get there. Terms and Conditions apply. It lies 55 miles away from Brussels, the nation's capital, and 10 miles away from Sluis. An outing to Boudewijn Seapark or Goolfy Blacklight Minigolf is a fantastic opportunity for some quality family time. If you're up for even more excitement, the Cinema Lumiere and the Kinepolis Bruges are some additional options. Go on an underwater journey at Sea Life Blankenberge, where you'll happen upon all sorts of creatures of the sea. Yet another magical marine world awaits at Sea Life Blankenberge. Assemble your travel buddies and head on over to the De Halve Maan Brewery for a few cold ones. Their range is more than enticing, so make sure you free up at least a couple of hours! Start your night with some table games and bright, shimmering lights at Knokke Casino. It's the ideal place to get the festivities going! 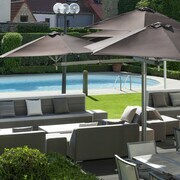 How does an alfresco lunch sound? Pick up some cheese and other nibbles and take off to Minnewater or Bulskampveld for a relaxing picnic. There's also a stack of fun to be had at Zwin and Uitkerkse Polder. 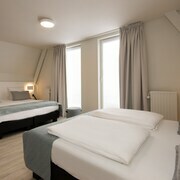 ’t Begijnhuisje is a great starting point for your visit. Here, you’ll find a range of information, including day trip ideas, the best restaurants to indulge at and so much more. Find time to gaze out across the smooth, glistening water at Grote Keignaert. Give yourself some breathing space with a trip to the seaside. Look for a scenic spot, breathe deep and appreciate the ocean views at Knokke-Heist Beach. In need of some breathing space out in nature? Rejuvenate your senses as you appreciate the beautiful surrounds at Het Zwin. Wander the quiet halls, study the engaging exhibits and chat to the friendly staff. 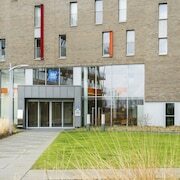 The Groeningemuseum and the Gruuthuse Museum are leading places to reflect and discover something new. Permeke Museum and the Choco-Story Museum are also top choices for museum nerds. Step inside a world of scientific innovation at Cozmix Planetarium. 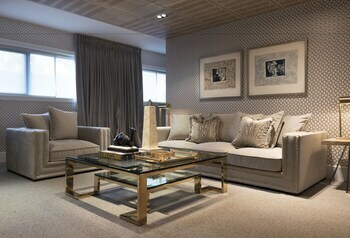 Ask around about a tour or just let the artefacts themselves do the talking. If you've ignited your inner science nerd, make Public Observatory Cozmix Beisbroek your next stop. It will definitely keep your brain in gear. Nowadays you don't have to travel the globe to behold the wonders of the natural world. You can just stop by places like the Archeological Museum and the Roman Archeological Museum instead, where an amazing array of peculiar objects and specimens are showcased all in the one location. With such a variety of terrific art collections to pick from, you might need a little push in the right direction. 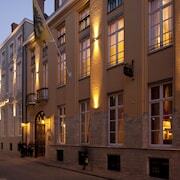 We recommend grabbing a strong coffee and spending a few hours at the Arentshuis or the Guido Gezelle Museum. More bright canvases and stunning sculptures await you at the Dali Xpo Gallery and the Absolute Art Gallery. Get a glimpse into the influence that Bruges' past events and characters had on the country, and sometimes the world, at the Historium and the Wijnendale Castle. For another insight into days gone by, also stop by the Folklore Museum and the Museum Sincfala. 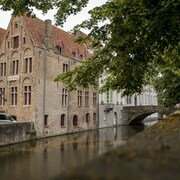 A trip to Bruges leaves you spoilt for choice when it comes to historically significant sites. 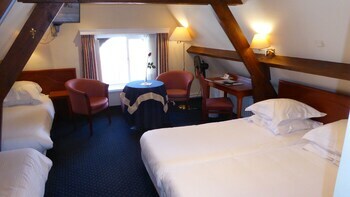 You'll be able to get a better understanding of the city's past at Bruges Belfry and the Beguinage. 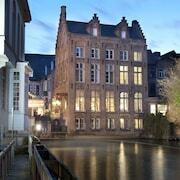 If you've got the time, Bruges Town Hall and Bladelin Court also shouldn't be missed. If you find it hard keeping up with the Joneses, spare a second thought for the poor neighbours of Palace of the Liberty of Bruges. The extraordinary architecture and beautiful furnishings of this stately residence would be almost impossible to beat. Loppem Castle appears as though it has leapt from a fairytale book. Visit it and consider what it would've been like to spend a lifetime in this majestic building. If you're keen to see more, Kasteel van Loppem and St. Trudo Abbey Male are equally as grand. Looking to add a spiritual aspect to your escape? Visit Church of Our Lady and Basilica of the Holy Blood. If you're happy to explore even more, keep going to Begijnhof and Sint-Salvador Cathedral. It's much better to look over your life and say, "Can you believe I did that?," instead of, "I wish I had done that." So, while you are here you should also visit some of the more unknown attractions, such as Oostmolen Windmill and the Chocolate Line. Don't forget Steenstraat and Muntplein either. Stayed at Martins before and this time was just as good as before. 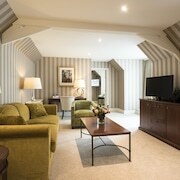 Good location Not suitable for older guests we had top floor and had to climb 47 steps no lift available. 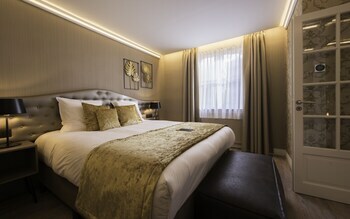 Also room was not hoovered at all during our stay, no replacement coffee or tea supplied pretty basic level of cleanliness staff were helpful especially gerrard. 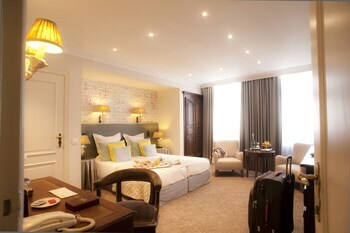 Very nice hotel, confy and cozy rooms. Great location. 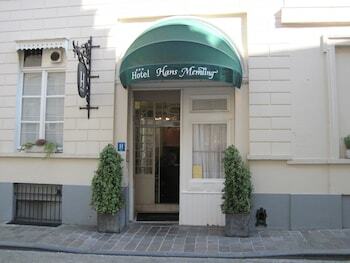 Ideal location for a first time stay in Bruges. Near the station and bus depot. 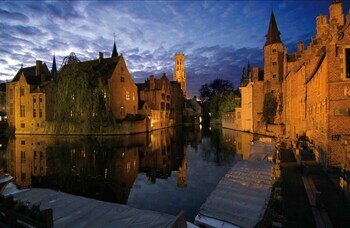 Great location for visiting Bruges! 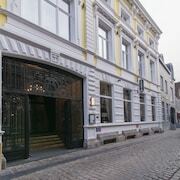 Ideally located for visiting Bruges, really friendly, helpful staff, hotel bar is really nice, relaxing and cosy and very reasonable. 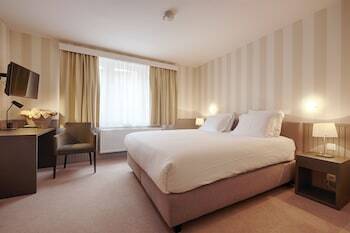 We stayed in a family room for one night, beds were big and room was spacious and clean including bathroom. Would stay there again and recommend. Very nice hotel. Very close to everything. The staff especially Frankie at the jazz bar get 5 star from us for customer services! 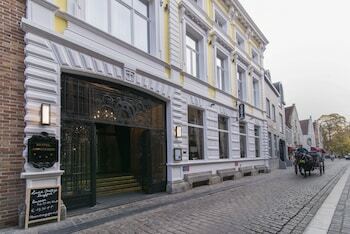 We stayed in the adjoining building which is an extension to the hotel. However next time we’d like to try to stay in the main hotel building.